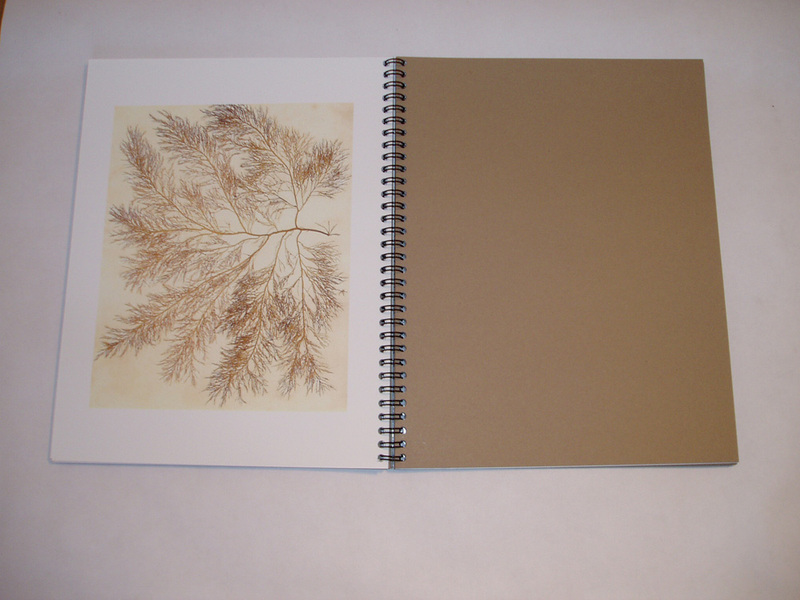 Description : Book of 13 laser prints made from 19th century pressed seaweed specimens. The text was written as a first-person treatise by Raimondo de Sangro Prince of Sansevero regarding the chapel that bears his name and was constructed in Naples during the second half of the 18th century. It was written in Oaxaca, Mexico, for this book in 2003, and printed in cruciform letterpress text. The pages of the book are spiral bound with clear transparent plastic sheets front and back. The book also contains title pages, a frontispiece and a colophon. Paper : Images printed on white Couché 135 grams. Text and colophon printed on Somerset Book, St Cuthberts Mill, England 100% cotton, mold made, acid free, 36.6 kg/1000. Title pages and spacing pages are tan Forever Craf. Printer : Typography by Linotipografica Quintas, Oaxaca. Laser printing by Docuprint Digital Center, Oaxaca, Mexico. Publisher : Jacaranda Books, Carpe Diem Press, Oaxaca, Mexico. Notes : (1) All signed and numbered by the author and artist. (2) The images of dry seaweed were chosen for their visual similarity to the anatomic forms and experiments in mummification, and in particular to the mercury-filled venal systems of 2 human bodies made by Raimondo de Sangro in the 18th century. (3) This book was published on the occasion of the exhibition by James Brown in the Chapel of Sansevero Museum, Naples, 2003.